Of all the computer desks we bought, this was my favorite. Instead of a keyboard drawer it has a nesting extension that rolls out. Unfortunately, one leg kept bending under. It ended up in storage for a few years and I got it out when my daughter moved out. I finally took the broken leg completely apart. The nuts, that the screws were to join, had come out of the leg into the framework of the extension. No matter how much we tightened it, the leg was just barely hanging on. I took it all apart, glued the nuts back into the leg and put a dab of glue on the screw before I inserted them. That leg is solid now. The wheel? Not so much. 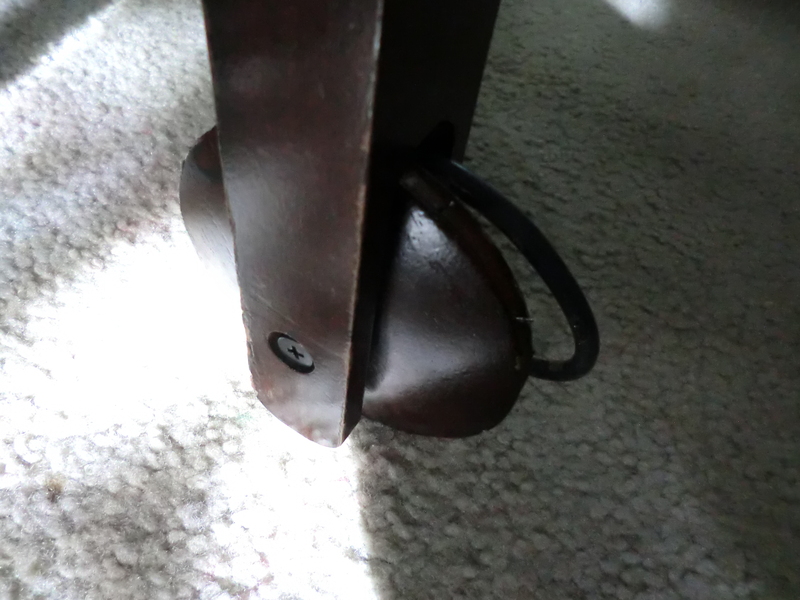 The rubber had come off of my desk leg wheel. 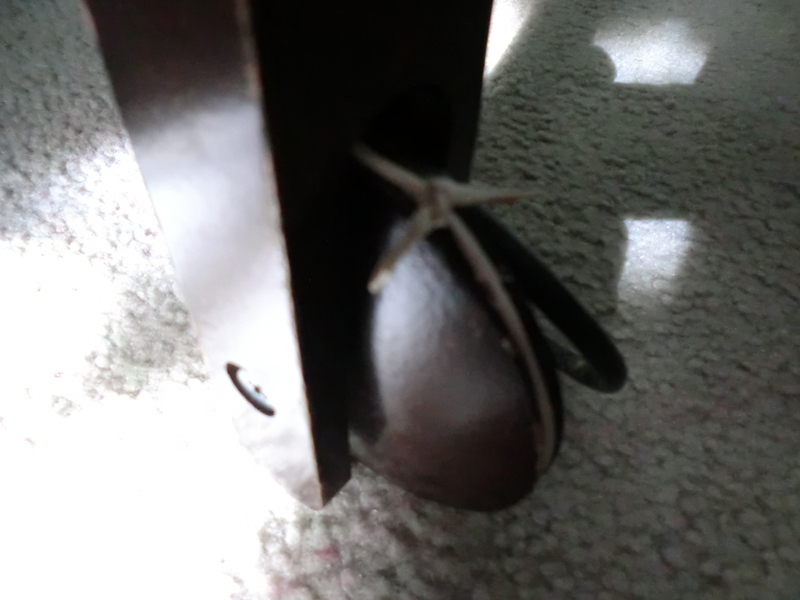 Then I remembered how I fixed the feet that kept falling off of the keyboard bench, see here. I got out my thickest rubber band and cut it open. I slid the rubber “tire” off of the wheel and tied the rubber band around the wheel. Rubber band tied around wooden wheel. Then I slipped the “tire” back on. 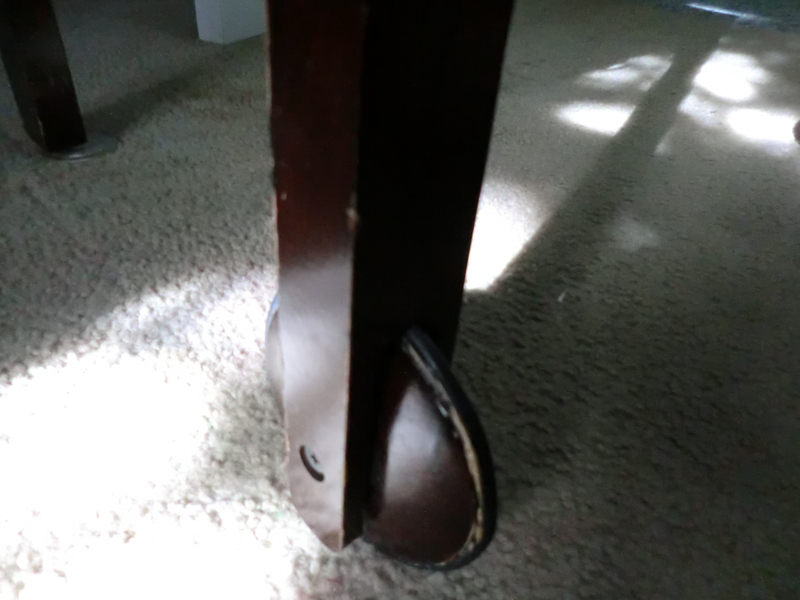 Now it is as solid as the leg and I feel like I have a new computer desk! This entry was posted in Furniture, Repair, Use What You Have, Water and tagged Furniture, Repair It, Use What You Have by Frugal Fish. Bookmark the permalink.